We had an amazing lunch at Osteria alla Caneva Sunday afternoon. Most places, you usually need a reservation for a Sunday afternoon. We didn’t have one. We stumbled across this old, rustic osteria which is a little outside of the heart of Bassano. First impression – hmm ok, but it’s rather small. I was worried how I was going to fit my Inglesina stroller, diaper bag and mini poodle all inside comfortably. Everything worked out and the owner was incredibly nice. He gave Harley ( mini poodle) a bowl of water. That’s a HUGE point in my book! How many places in America allow dogs in the restaurant? Let alone give them a bowl of water? None, right? 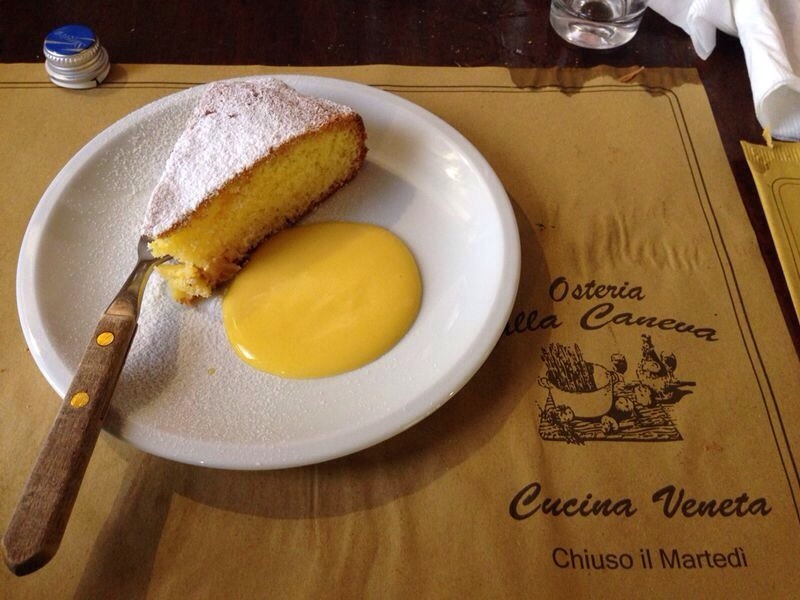 Osteria alla Caneva serves typical Venetian dishes which I adore!! Hint – there are no menus. The waiter simply tells you what the Chef offers for the day. So knowing a little Italian helps but if not I’m sure they speak English. Can’t order anything wrong at this place anyhow. The food is simply amazing! 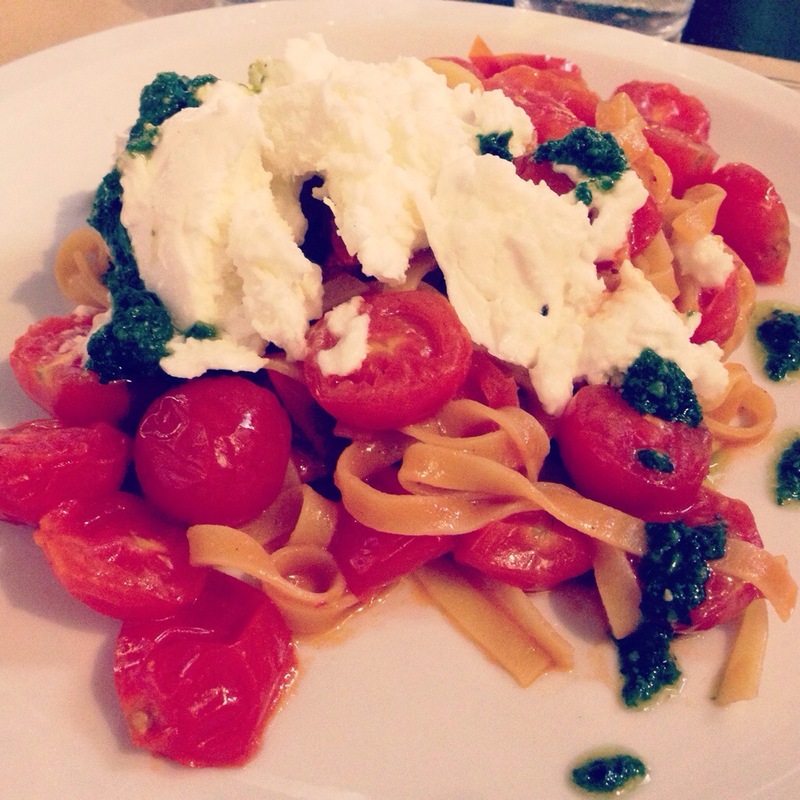 I had fresh fettuccine with tomatoes, mozzarella di bufala and basil. Perfect dish for a hot summer day. For dessert I had torta di ananas(pineapple). To finish off my meal, I unlike most Italians had a latte macchiato after. Haha! I laugh when telling you because it’s rather unusual to order such a drink after a lunch. If you are in Bassano del Grappa, you should definitely stop by for lunch or dinner, you won’t be disappointed.